Our facility made meticulously tempering process; heated to near the glass softening point is used to impart a degree of strength with the rapid cooling of the glass surface. which is about 5 times more resistant tempered glass breaks at the time of use without sharp corners membrane sized pieces as safety glass because it reduces the risk of injury to thermal separated by untreated glass are suitable. Tempering, the strength of the glass and also increases the resistance to thermal stress. any cut-tempered glass, drilling, edge and surface treatment made. 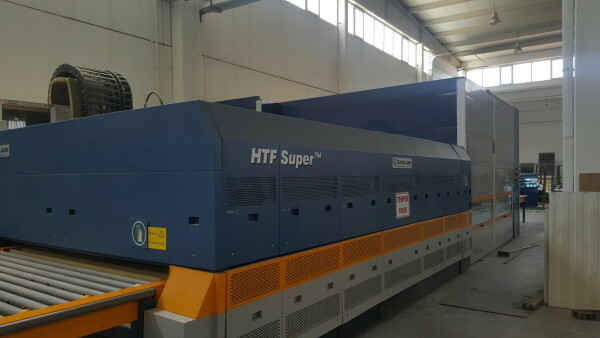 Our factory has two, including Tamglass tempering line and SOUTHTECH. 6000 X 2600 max. Until we are able to temper the measure. Oval tempering process to the outer surface compressive stress of the glass on a horizontal line, while the middle glass heating and cooling stages to create an indirect tensile stress. 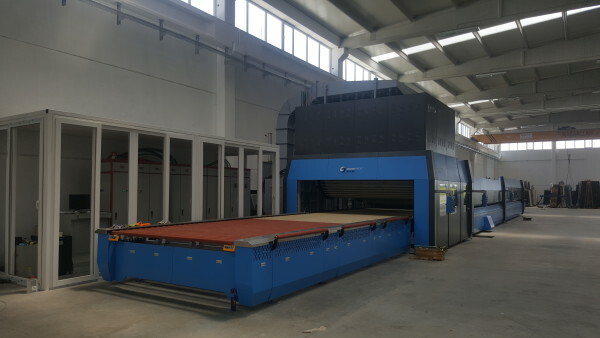 After cutting the glass to temper camber process, perforation, edge and surface treatment can be made (excluding blasting). Only some differences in perspective and lighting conditions can be “tempered scars” and “camber” and “introversion” distortion arising as to stay within tolerances are unable inevitable result of the heat treatment and prevention. Our factory is very small curvature radius at 480 min large bulge in the tank since at least 1500 degree radius curvature we are able to be tempered.